A fun cover / case for your kindle or other E-book reader. 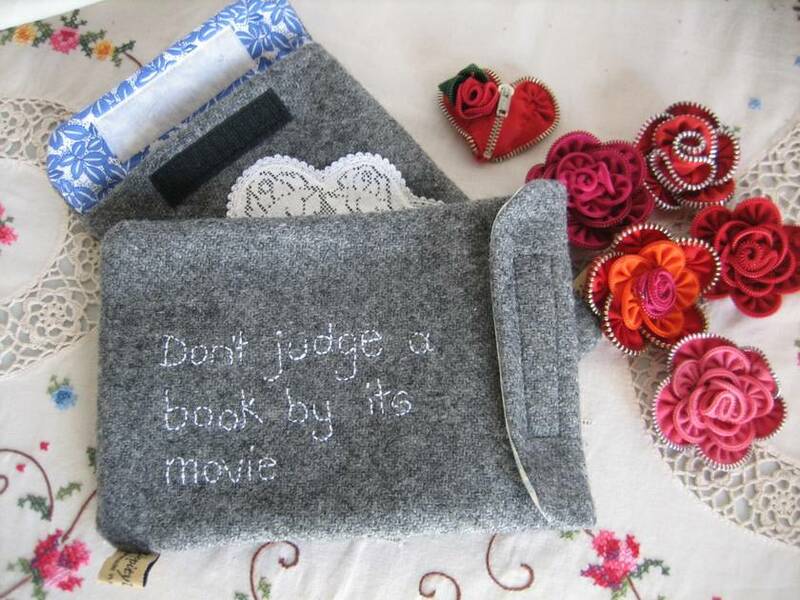 Delightlfully simple yet stylish case with hand embroidered quirky quote just perfect for an E-Book cover! Handmade from vintage NZ wool blanket, and fully lined with vintage fabric. Velcro closure for secure but quick access to your reading material. Eco Chic - relax and enjoy reading knowing you helped avoid textile waste! I have a range of kindle covers with different Book-ish quotes as well as doily or vintage lace features. Please message me if you have a special colour in mind, and take a wee peek at my other gadget covers for laptops, ipads, ipods etc.